It is not surprising that of the 37 countries that the World Resources Institute has identified as having "extremely high" levels of water stress, seven are from the Caribbean: Dominica, Jamaica, St. Vincent and the Grenadines, Trinidad and Tobago, Antigua and Barbuda, Barbados and St. Kitts and Nevis, with the latter three being designated as water scarce (less than 1,000 meters cubed of freshwater resources per capita), wrote Daphne Ewing-Chow last month in an article, in Forbes magazine, entitled: "In Search of a Solution for Water Scarcity in the Caribbean". We don't know how the World Resources Institute arrived at this assessment that Ewing-Chow reported but DOWASCO and indeed every Dominican should begin worrying that our once " water abundant" island may have lost its prominent status. But Dominica's new designation as a water-stressed island is not surprising since we have been warning the nation for decades that our rivers are drying at an alarming pace. But no one is listening. And given the fact that Dominica lost more than 35 percent of its forest cover due to the ravages of the category five Hurricane Maria in September 2017 we are in for a long period of water scarcity. In fact, the period of water scarcity may have already started. Recently, the Dominica Meteorological Service warned that a drought watch may be declared towards the end of April 2019. All these gifts we do extol." But we do not truly believe that our rivers are "rich and rare" gifts from God because we have such an indifferent attitude towards rivers and our abundant water supply. We couldn't care less. Unfortunately, we take our rivers for granted but we'll never miss the water until our water sources, our rivers, run completely dry. And that could happen sooner than we think. As we indicated in earlier editorials many conservationist have raised the alarm about the state of our rivers. They suggest that the entire Caribbean, for that matter, is slipping into the onset of desertification and that since Christopher Columbus re-discovered Dominica in 1492 not a single river has grown by a single inch. In fact, every river has lost and is losing significant water levels. In other words, our rivers are drying up right before our eyes. Other countries in the region are probably worse off. Jamaica, for example, has reportedly lost 50 rivers and St. Lucia was following in its footsteps due to a combination of deforestation, house and road building, legally sanctioned tree cutting by utility companies and the replanting of inappropriate tree species. Dominica's rivers, and hence our water supply, is being threatened by poor water shed management and deforestation. 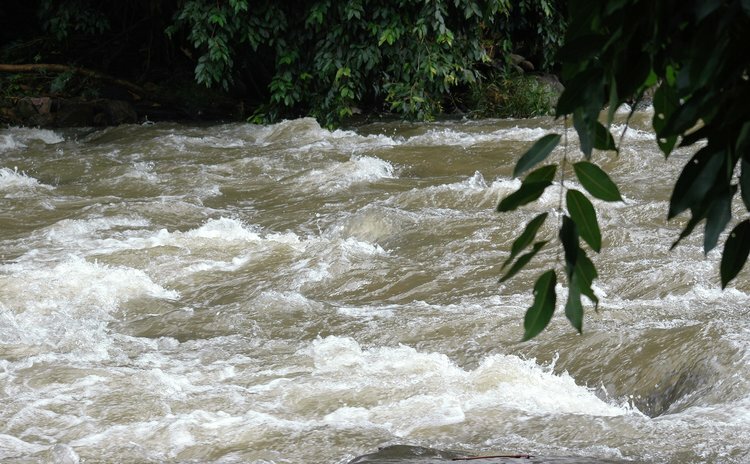 A study of a few decades ago by former forest officer Michael Zamore revealed that Dominica had been losing its forests at an alarming rate (the banana industry boom was the culprit) and that has adversely affected the state of our rivers. What's more disturbing there's no official Government, or quasi government, department that is explicitly responsible to budget and programme to protect Dominica's water resources. Not DOWASCO, not Forestry, not Tourism, not the Environment department and certainly not Health. In one of his message in observance on WWD, observed internationally on 22 March, the United Nation Secretary General warned that with the onset of climate change, growing demand on finite water resources from agriculture, industry and cities, and increasing pollution in many areas are hastening a water crisis. That crisis, he said, can only be addressed by cross-sectoral, holistic planning and policies – internationally, regionally and globally. The UN Secretary General said that despite progress under the Millennium Development Goals, adopted in 2000, some 663 million people --more than one in ten of the world's population -- remain without access to an improved water supply. The statistics on sanitation are even less encouraging. Some 2.5 billion people still live without improved sanitation, and a billion people practice open defecation, making sanitation the least successful area of the MDGs. "We cannot achieve a world of dignity, health and prosperity for all until we address this urgent need," he said. But, Dominicans must begin to recognise that we are in a water crisis, here and in the Caribbean and also the rest of the world. But the crisis is not about having too little water to satisfy our needs; it is a crisis of managing water so badly that billions of people - and the environment - suffer badly. In Dominica it is more a crisis of caring too little about our gifts so rich and rare.